Hello, I will preface this statement/question by saying that I am brand new to all of this website building world and need some help. I inserted a template block on accident on a page I was working on and now there is a little black tab with a plus sign on it up on the top righthand corner of the page and I can't get rid of it no matter what I do. Please help!! 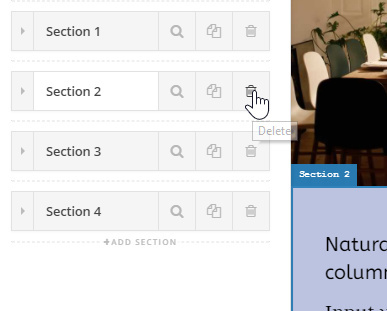 You can delete the section you don't want in your page by clicking on the trash can icon. If you're still experiencing the issue, please give us a screen recording so we could see what's happening on your end and so we can give you specific advice.